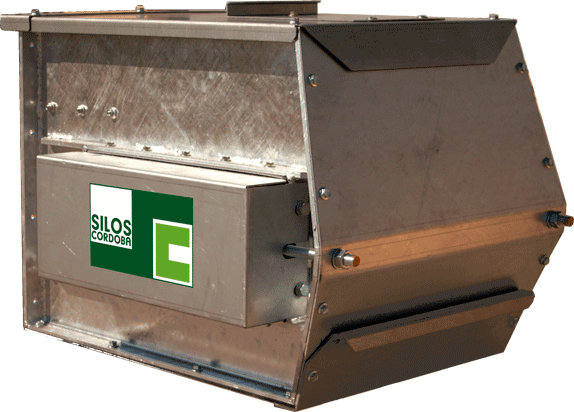 has been designed to withstand the most demanding conditions during grain handling operations. The sturdy build of the TCH Chain Conveyor enables daily use and provides for a long service life in systems where reliability and durability are crucial. Made of hot galvanized welded plate, the TCH Heavy-Duty Grain conveyor can operate efficiently with a wide range of grains, seeds, legumes and pellets. along with the simplicity of the design. The main improvements and features of the new grain conveyor design are: the 100% heat-treated removable pinion, the flexible gear motor coupling connection, the highly resistant anti-wear curved steel guides and rail, inspection windows on both sides of the conveyor, inspection scuttle on the top for easier inspection and maintenance, and an overflow system with a capacitive sensor that prevents material spillage in the event of a jam. All mechanical elements such as the bearing supports are fully protected, to ensure a long service life and prevent shaft corrosion. and with all types of products. The inside of the intermediate section is protected, both on the bottom and the walls, with highly resistant anti-wear steel that guarantees a long service life. In addition, it also features a guide system made of wear resistant steel designed to reduce noise and prevent an accumulation of material at the top. 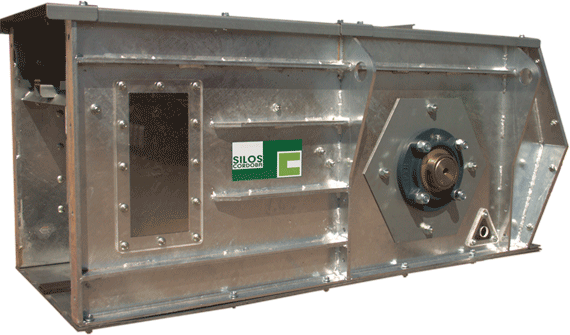 The inside of the conveyer has a very clean design, free of any screws that can wear away or cause damage. 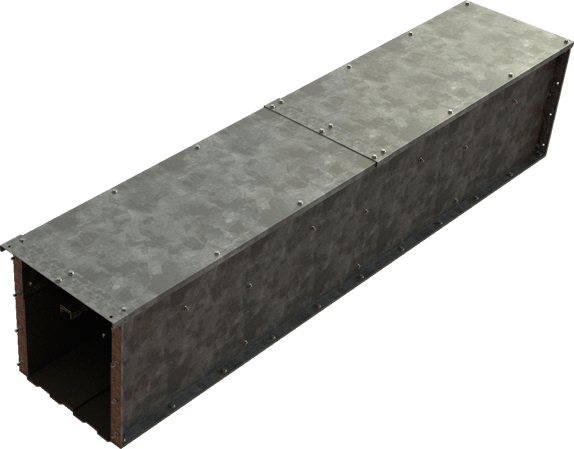 The new toothed-flange connection system ensures the correct alignment of the conveyor and a totally rigid connection. Just as the head section, the tail section stands out because of the compact and robust design. It features a 100% removable pinion which have been heat-treated to improve wear resistance. The top and bottom chain forged guide system ensures noise reduction thanks to the design. 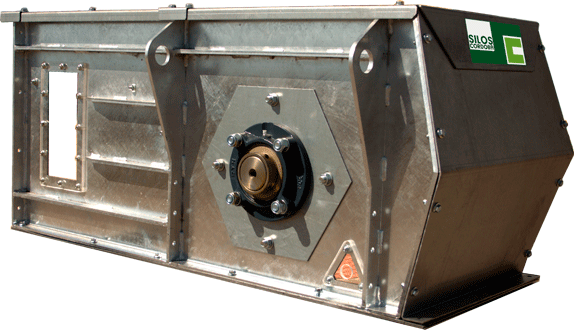 The guide system is made of highly resistant anti-wear steel. All mechanical elements such as the inductive rotation sensor, bearing supports and temperature sensor are fully protected to prevent an accumulation of dirt and the effects of bad weather conditions for guaranteed smooth operation. 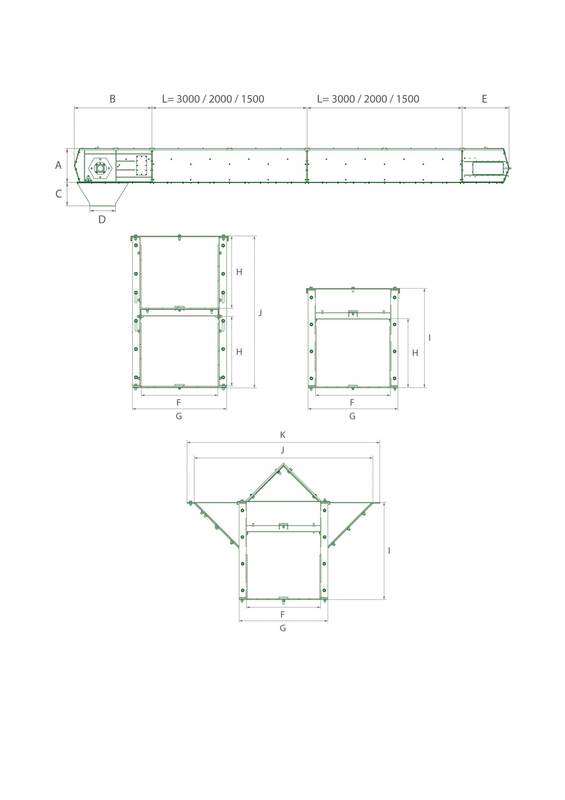 The TCH tail section has been designed to make inspection and maintenance tasks easy and simple. It features inspection and cleaning scuttles, both on the top and the bottom, for easy dirt removal and inspection of the inside of the conveyor.